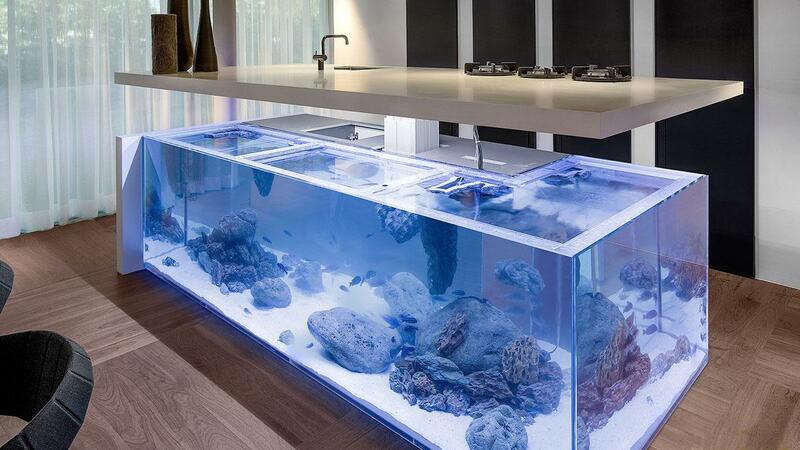 Once I'd covered fish aquarium bathroom sinks and aquaponic end tables I figured the whole fish-in-your-furniture schtick had run its course. 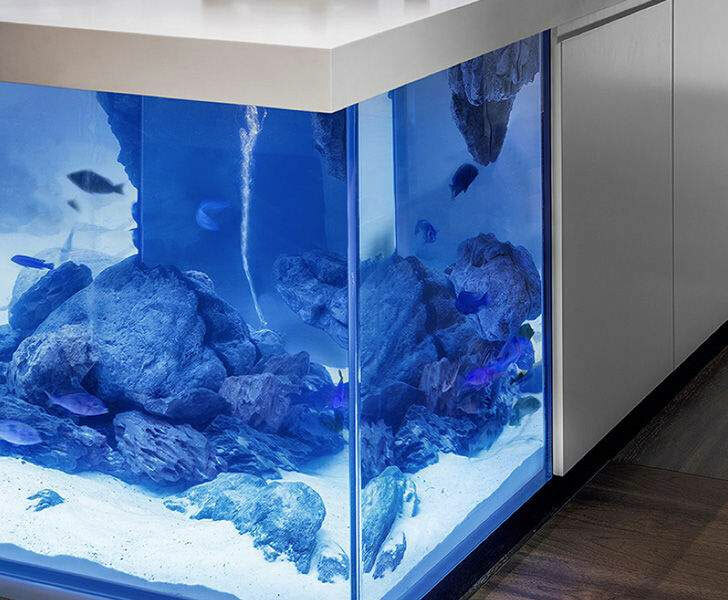 What other piece of home decor could incorporate aquatic life without seeming like just another once-novel concept now uninterestingly overplayed? 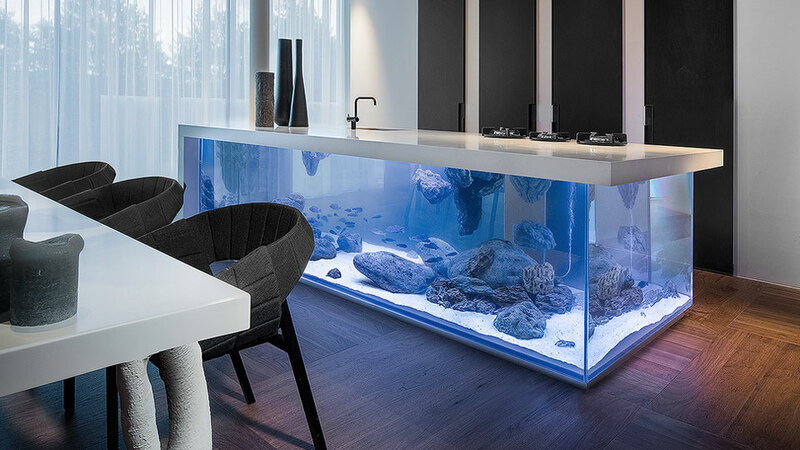 Dutch designer Robert Kolenik suggests his Ocean Kitchen. Based on its largeness and coolly-lit blueness alone, I have to say the aquarium island is pretty stunning. And according to Kolenik it installs beneath a kitchen countertop without taking away any of the space's preparation and cooking functionality. Ocean Kitchen mechanical installations enable the aquarium's top/counter to lift and lower at the press of a button, and while the tank appears to be one giant rectangle, it is actually formed in an L-shape. That means that around back there are still all of the standard drawers and cabinets needed for kitchenware and food storage. 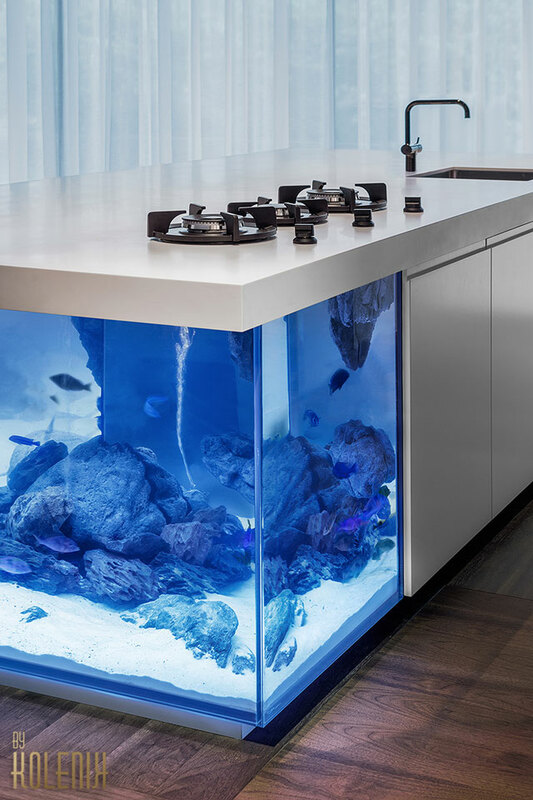 Kolenik's Ocean Kitchen is a limited edition installation that his firm will make to order according to a buyer's specified measurements.